Photo of a blue indigo bunting with a seed in its beak. 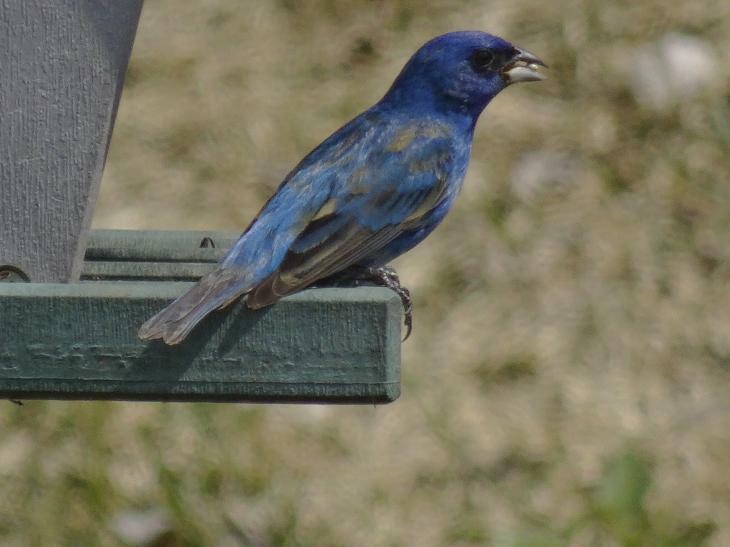 The Indigo Bunting is closely related to the Lazuli Bunting and interbreeds with the species where their ranges overlap. 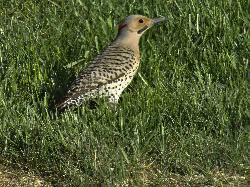 A male northern flicker looking for food in the lawn. 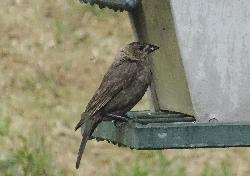 A female brown-headed cowbird, perched at feeder. 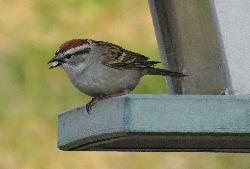 The adult male is iridescent black in color with a brown head. 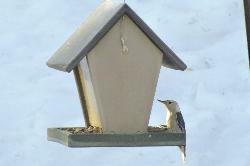 The adult female is slightly smaller and is dull grey with a pale throat and very fine streaking on the underparts. 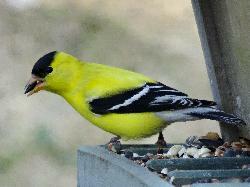 from site: The Cardinals or Cardinalidae are a family of passerine birds found in North and South America. 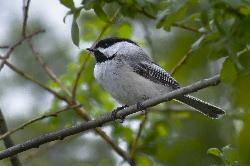 The South American cardinals in the genus Paroaria are placed in another family, the Thraupidae (previously placed in Emberizidae).